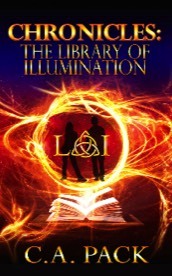 THE LOI Knowledge Is Power TRILOGY IS NOW COMPLETE! 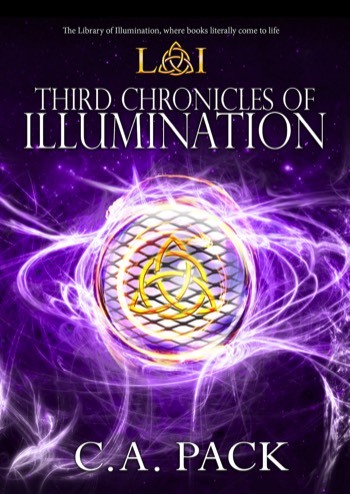 The complexity deepens in this kaleidoscopic adventure series. Imprisoned on a distant realm—her love life in a shambles—Johanna Charette wonders how to extract herself from Nero 51’s grasp. She needs to resolve the threats against the Library of Illumination and protect the people she holds dear. But how? She’s felt different, ever since meeting a secret society of wizards, and believes magic is growing inside her. Meanwhile, her feelings about Jackson are still unresolved. 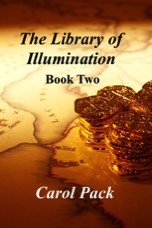 Unfortunately, the battle to control all the Libraries of Illumination is about to explode. Their lives are all in peril. And everything everyone on every realm once believed could be stripped away, plunging future generations into stone-age ignorance. This is a lovely, feel good book about Christmas. ’Tis the season to be jolly, however, Johanna Charette and Jackson Roth, curators of the Library of Illumination, are finding it hard to get into the holiday spirit. They have incredibly busy schedules, now that they’ve started college, and the weather is unseasonably warm—hardly Christmas-like at all. Not even a tree can lift their spirits. But then, a spark ignites something inside them. Unfortunately, it may be too late to save the season. 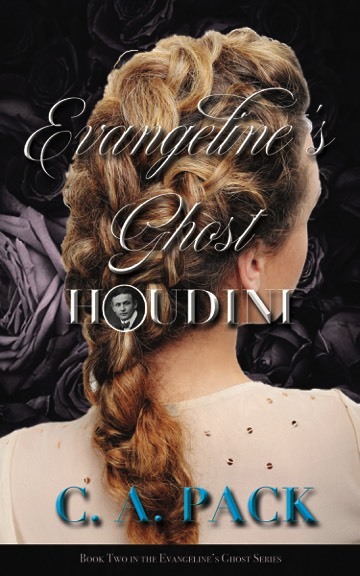 Evangeline’s Ghost: Houdini, by C.A. Pack, is a light-hearted suspense story, with humor, heavenly interference, action and wit. Evangeline has been recruited into the Celestial Hierarchy’s version of the CIA, and she’s ready to take on her first official assignment. She and her old flame, Christian, are asked to help fourteen-year-old Gabriella find her father—an inventor who disappeared in 1925 while demonstrating a new illusion for the famous magician, Harry Houdini. The task sounds simple enough but there’s a problem. The trio of ghosts needs to make contact with Houdini who is on a public Halloween tour to debunk psychics, clairvoyants, and charlatans. As far as he’s concerned, ghosts do not exist. If Evangeline can’t get through to Houdini, she will have failed her first mission, and Gabriella’s heart will break; but if she bends to rules to reach him, she risks losing the privilege to avenge her own murder. Pack’s teen curators grow a bit wiser, and more lovable, in this latest volume. Oh, no! 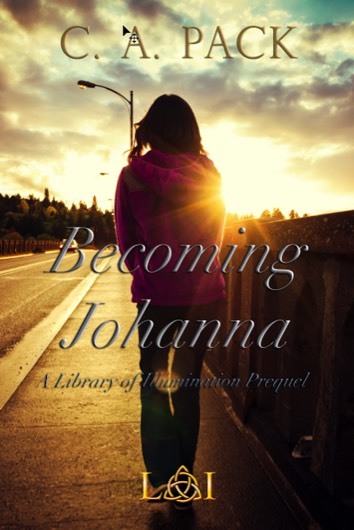 Johanna Charette and Jackson Roth have allowed a sneaky shapeshifter to slip right through their fingers. The good news is: he’s now trapped between the layers of time and space with their Terrorian nemesis, Nero 51. The bad news is: the Terrorian wants to control all the Libraries of Illumination, while the shapeshifter wants to control everything else. Who knows how long the Illumini system will remain safe? The whole time-space conundrum is taking a toll on Johanna and Jackson, who are smack in the center of everything as they struggle to protect the libraries’ legacy. Can you spell s-t-r-e-s-s? The pressure is driving a HUGE stake between the teens, and their mercurial romance could be over before it has truly begun. Since the age of three, the grim conditions and strict directives of Peakie’s Foundling Home have ruled 16-year-old Josefina Charo’s life. Her inquisitive nature and love of books highlight an intelligence that allows her to graduate two years early from secondary school. However, she is disappointed to learn Peakie’s will not provide a higher education, nor will she be permitted to leave because she’s too young. Her spirit dampened, she spends the next several months working in the home’s laundry and cafeteria for menial wages, while she searches for a way to escape her prison. Finally, she sees her chance and grabs it, but she soon discovers the harsh realities of being on her own. Life can be difficult, at best, for a teenage girl with no real world experience. 17-year-old Johanna Charette is the youngest curator ever selected to oversee the Library of Illumination, a centuries old, magical place where books literally come to life. She accepts the job knowing surprises and danger lurk in her future. She also knows, in case of trouble, having an assistant can be invaluable, so she hires 16-year-old Jackson Roth to give her a hand with the day-to-day operation of the library. Jackson gets off to a rocky start, but manages to prove his mettle. Besides, he’s kind of cute and a lot of fun, and he really has a good heart. Johanna is brilliant, beautiful, and resourceful—a natural born leader. She keeps the library operating on an even keel. Jackson is clever, intrepid, and funny. He relies on his wits when trouble arises. Unfortunately, his derring-do is one of the reasons why they sometimes find themselves in awkward situations. And it shouldn’t be any surprise when his wanton curiosity sparks a journey to a distant realm, where they end up with front row seats to what’s destined to become—a war of the worlds. 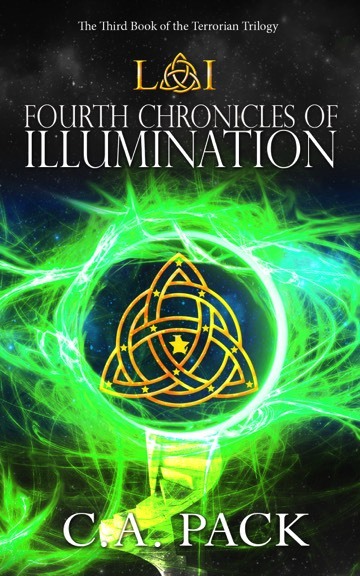 The Terrorian invasion attempt is still fresh in their minds when Library of Illumination curators Johanna Charette and Jackson Roth are invited to the realm of Lumina for Dean Plato Indelicat’s funeral. The teens soon learn there's more to being a curator than meets the eye—some of it good, some of it not so good—and they have to pass muster to keep their positions. To make matters worse, Johanna finds herself at the center of a bold scheme by Nero 51 to bully his way into the competition for Plato Indelicat’s now-vacant position. She has the ability to save the day, but her actions could result in losing her curator privileges. Meanwhile, the College of Overseers is committed to being fair and impartial, but its stance could result in the Terrorian infiltration of its inner sanctum. Curator Johanna Charette and her assistant Jackson Roth discover a window to "nowhere." Jackson is convinced some sort of treasure is hidden behind it. 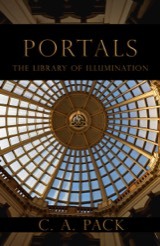 Instead, the teens stumble upon a portal that whisks them to a library, similar to their own, yet very different. 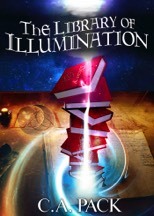 Their impromptu breach of the ancient portal system sets a series of events in motion that take the teens to distant realms, and they learn a wealth of information about the history of the Libraries of Illumination, however, Jackson’s natural curiosity results in severe repercussions for Johanna, after she is forced to a destroy a precious artifact when Jackson is taken prisoner by an unfriendly being. She’s sentenced to serve time on that hostile world, and uncovers a scheme to take control of all knowledge in the universe. In the blink of an eye, the teens find they must put their lives on the line—in a battle against an ancient foe. Seventeen-year-old Jackson Roth has a big, BIG crush on library curator, Johanna Charette, and she is starting to surrender to his charms. 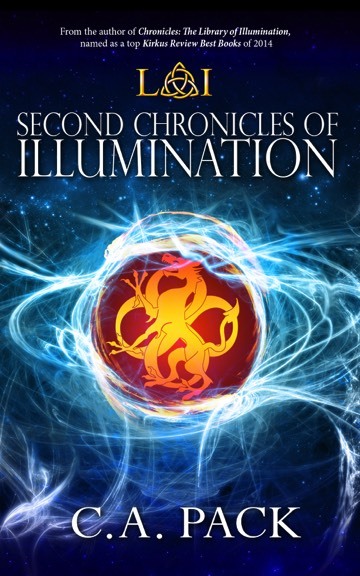 That is, until a handsome, ubersexy rival vies for Johanna's attention, and everything that Johanna and Jackson know about the properties of the Library of Illumination are turned upside down. 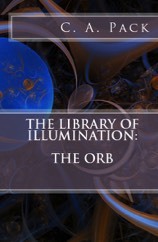 The wonders of the Library of Illumination grow overwhelming on a steamy summer day, when a pulsating blue orb, protected by a force field, mysteriously appears in the middle of the main reading room. 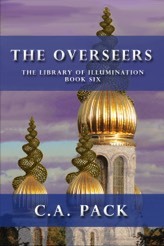 Curator Johanna Charette and had assistant Jackson Roth must work fast to figure out what the orb is, where it came from, and what danger it poses to the past, present and future of literature, all while trying to maintain and protect the the mysteries and integrity of the Library of Illumination. 16-year-old Jackson Roth is library curator Johanna Charette’s new assistant, but he may be too rambunctious for the quiet repository of knowledge. He unwittingly releases a bunch of rowdy pirates, who leave a cache of Spanish doubloons behind in the main reading room after they disappear back into the pages of "Treasure Island." The money from the pirate booty couldn’t have come at a better time, but a pawnbroker’s interest spirals out of control, and instead of untold riches, there is mounting danger. Can Johanna and Jackson outsmart their enemy before an itchy trigger finger finds its mark? 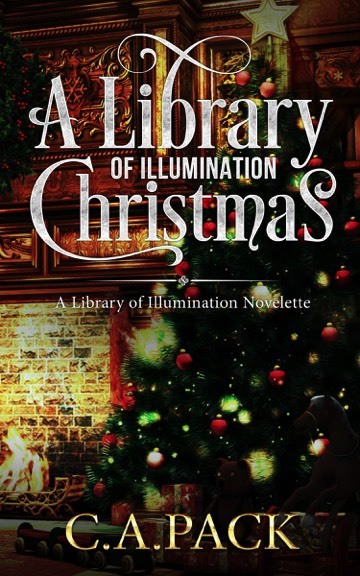 Johanna Charette is sent to the Library of Illumination on a work assignment, and soon discovers a magical place where the written word comes alive. However, it’s not a library anyone can visit whenever they wish. So when her job is placed in jeopardy, she fears losing the one place that makes her feel complete. When a beautiful spy finds her life has been cut short by an assassin's bullet, she doesn't let death get in the way of bringing her murderer to justice. Join Evangeline as she traverses the fifth dimension, and soon finds herself trying to unravel a plot to assassinate an American president. The year is 1936 and political unrest is growing in Europe. When rumors circulate of Nazi plans to invade Switzerland, two elite British agents try to learn more. One steals the plans. The other is taken prisoner. Their actions result in the recruitment of an unlikely spy.